On behalf of all of the JOBFS team I would like to thank you all for visiting the site we have now had over 50,000 visitors from 65 countries since June 2016. Arkwrisht given 10st 6lbs in the Leinster National 11th March. Joseph O'Brien has confirmed Edwulf firmly on course for the Timico Cheltenham Gold Cup following his heroic success in the Irish equivalent earlier this month. 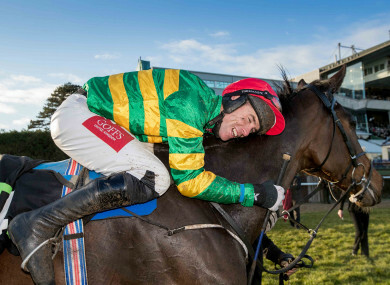 The JP McManus-owned gelding produced a fairytale comeback to take the Irish Gold Cup at the inaugural Dublin Racing Festival at Leopardstown, having come close to death when collapsing in the National Hunt Chase at Cheltenham last March. Speaking at a Festival press event at Naas on Sunday, O'Brien reported his charge in fine form ahead of the blue riband on March 16th, for which he is a general 25-1 shot. O'Brien said: "It's an unbelievable story, for him to come back and do what he's done. "The Gold Cup is the plan. He's very well since Leopardstown and it is a wide open Gold Cup. "He's well entitled to take his chance and there's no reason why he can't pick up some prize-money. "We'll try and get him there in one piece." Reflecting on the drama that unfolded at last year's Festival, the trainer added: "Basically it was a neurological episode. The initial thoughts weren't good and we were just hoping he'd survive. "The vets say it's no more likely to happen to him again as it is for any other horse in any other race. "The lads in the yard have done a great job with him." O'Brien could have between "six and eight" runners at the showpiece meeting. 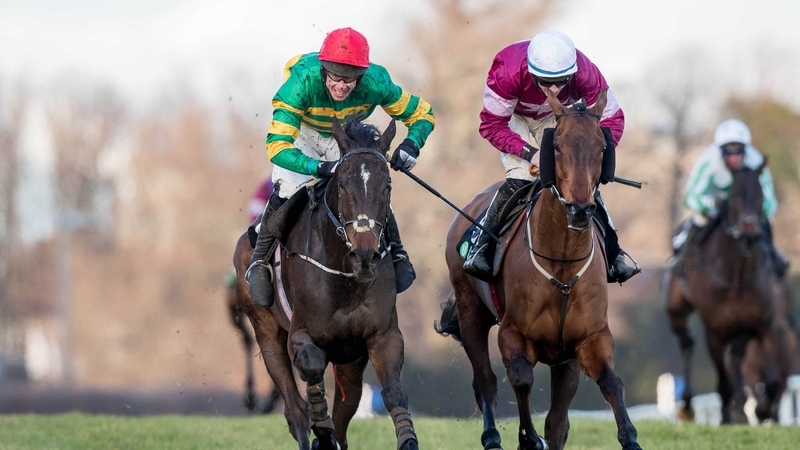 Tower Bridge, who also struck Grade One gold at the Dublin Racing Festival, is set to contest one of the staying novice hurdles, while Rhinestone is a potential Champion Bumper candidate. "Tower Bridge is in the Ballymore, but we might supplement him for the Albert Bartlett," said O'Brien. 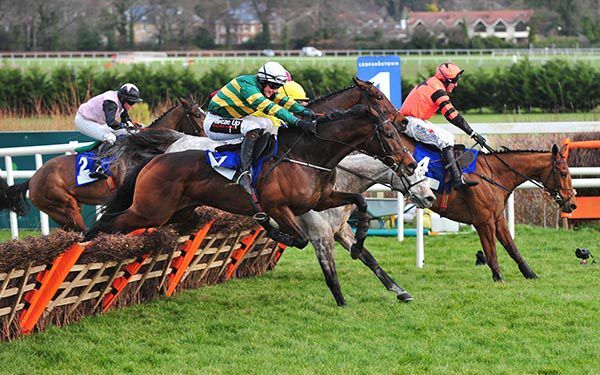 "It's probably 60-40 we'll go to the Albert Bartlett, but the ground will be the thing. If it looks like it's drying out he'll be better going three miles, whereas if it was getting softer he maybe wouldn't. "Rhinestone might run in the Champion Bumper. He ran very well at the Dublin Racing Festival. "We have a few in the handicaps but we'll wait until the weights come out on Wednesday and go from there." Joseph O'Brien reports Edwulf in good heart two weeks on from his heroic victory in the Irish Gold Cup but a decision on his participation at Cheltenham will not be made until closer to the Festival. 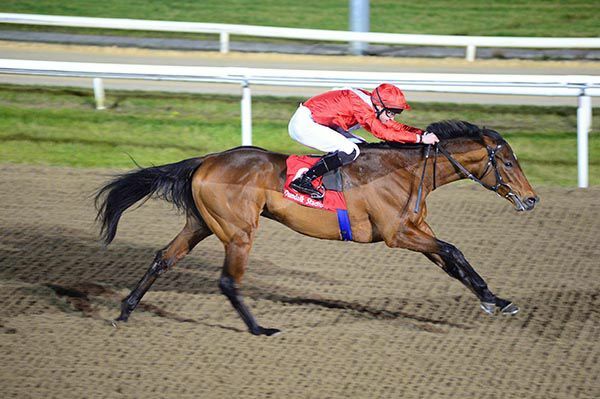 The JP McManus-owned gelding produced a fairytale comeback to take the feature contest at the inaugural Dublin Racing Festival, having come close to death when collapsing at Prestbury Park last March. Not surprisingly, O'Brien is taking a cautious approach with the nine-year-old and will see how he is closer to the Timico Cheltenham Gold Cup before committing him to a challenge. "He seems to have come out of the race well," said O'Brien. "I'll have to speak to Frank (Berry) and JP and see what the plan is. Obviously if he was to go to Cheltenham, the Gold Cup is the obvious race for him. "To be honest, the most important thing with him was to see how he was a couple of weeks afterwards. "He's entered in those races so we don't have to make that decision for another two weeks really. "We'll see what the ground is like and see what our other options are. There are plenty of things we can do with him if we don't go there." The O'Brien-trained Tower Bridge is firmly on course for Cheltenham but despite holding an entry in the Ballymore Novices' Hurdle, he could still be supplemented for the Albert Bartlett over three miles. 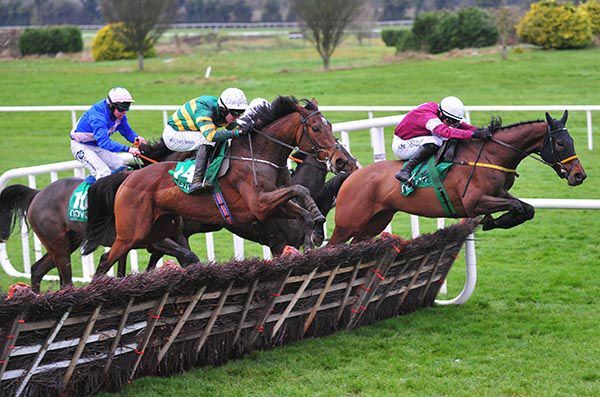 He was a shock 25-1 winner of the Grade One Lacy & Partners Solicitors Novice Hurdle at Leopardstown last time out. "He's entered in the Ballymore and we might think about supplementing him for the Albert Bartlett," said O'Brien. 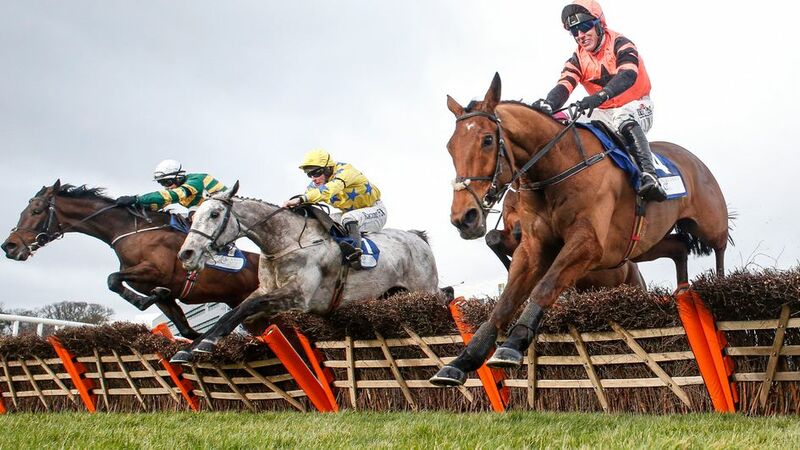 "If he's well, he'll go to Cheltenham for one of the races. Whether it's the two-five or the three-mile, that will be decided closer to the time when we get a feel of what might be running in the two-five and other things. "Obviously he's Flat-bred and that's probably the reason I didn't have him entered in the three-miler originally, but he looks to stay very well. "He looked to stay very well in his bumpers, also, and has a very good attitude. 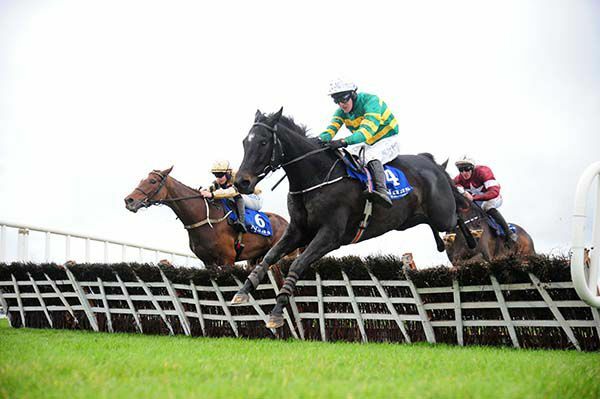 "His jumping has improved considerably with each race and you'd have to say, on the whole, he was very good in Leopardstown. "He should be better on better ground, I'd imagine, as well. He won a couple of bumpers very impressively on good ground. "He's a big, good-looking sort, so he's an exciting horse." 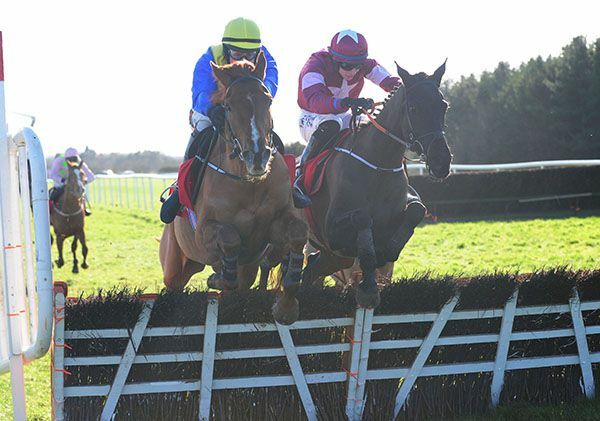 Speak Easy could take a drop in class in the Grade Three Michael Purcell Memorial Novice Hurdle at Thurles on Thursday. Joseph O'Brien's charge was pitched into top-level company on only his second racecourse outing at Naas last month and was far from disgraced when finishing fifth behind Next Destination. The Beneficial gelding made a big impression on his racecourse bow when scoring at Navan, but O'Brien feels it may have been asking too much to go straight for a Grade One after that win. He said: "Nothing is confirmed yet but there is a chance he would run there (Thurles). He's in good form. "We pitched him into the deep end in a Grade One the last day and probably, in hindsight, it wasn't the right thing to do. 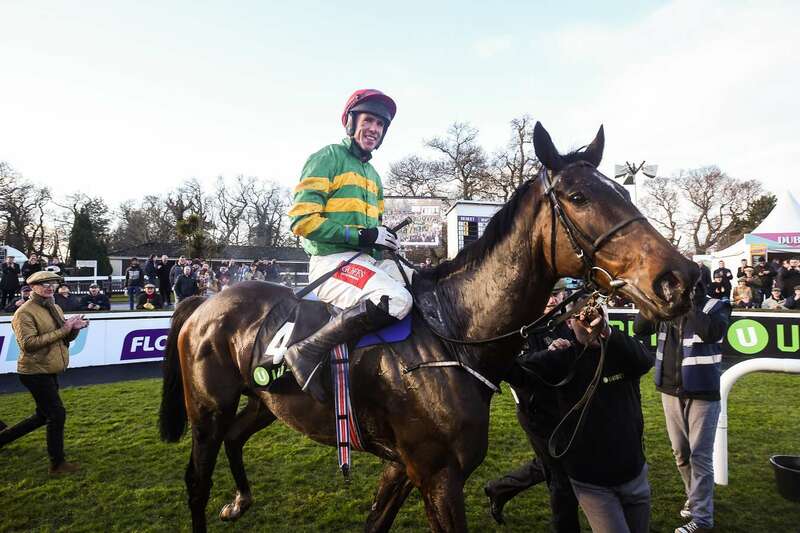 "He seems well and there is a chance he might run at Thurles." Joseph O'Brien is enjoying an incredibly successful winter spell and the Melbourne Cup winner registered his fifth success in February when his High Sparrow landed the Michael Fitzpatrick Memorial Maiden Hurdle at Punchestown today. O'Brien, whose Rekindling won the southern hemisphere's biggest race in November, bagged two Grade 1 wins at last weekend's Dublin Racing Festival. Those included Irish Gold Cup winner Edwulf and Tower Bridge, who won a top level novice hurdle under High Sparrow's jockey J.J. Slevin. Limerick Christmas bumper winner High Sparrow today beat Caltex by a length and a half and afterwards trainer O'Brien stated “he tries and he's a tough little fella. He looked beaten in Limerick and he came back and it was the same again today. “He jumped well on the whole, he missed a couple here and there, but he'll come on. I'm delighted for all the lads and he's a fun horse for them going forward. “He should stay further as well and we'll see how he comes out of it and look for something in a month or six weeks. 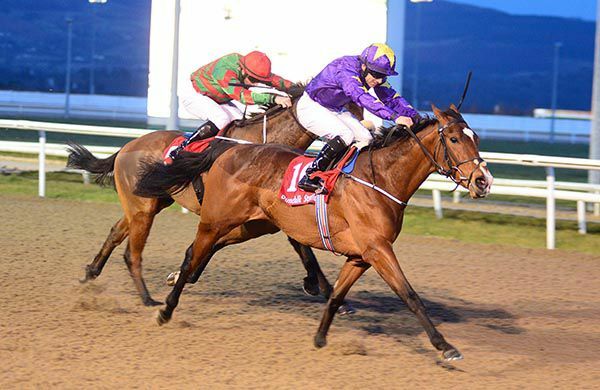 The Joseph O'Brien trained, 58 rated Highly Approved got off the mark at the eighth attempt when landing the opening Dundalk Business Club 2018 Maiden at Dundalk today, scoring under jockey Wayne Lordan. The E4,000 foal purchase and half-sister to four winners today scored a three parts of a length win over Luna's Luck. Lordan later said "she had been running very consistent. Her early form was good enough to win it, and back to six wasn't a problem. She was drawn a bit wide but she jumped good and I was able to get a good position. 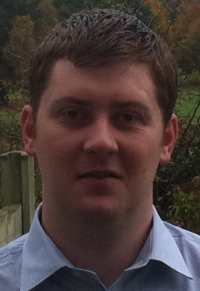 "I'm delighted for the owners (Ol Stock Racing from Kerry, Galway and Dublin). They are a nice bunch of fellas and they will enjoy tonight." Joseph O'Brien has been able to give Edwulf a clean bill of health after his fairytale win in the Unibet Irish Gold Cup at Leopardstown on Sunday. 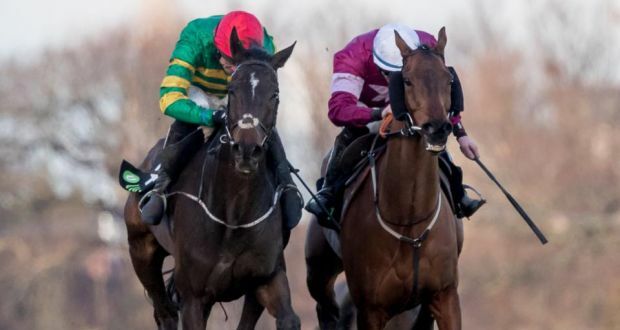 The JP McManus-owned nine-year-old is lucky to be alive after collapsing in the closing stages of the JT McNamara National Hunt Chase at last year's Cheltenham Festival. "Edwulf is very good, thankfully," O'Brien told Press Association Sport. "It was extraordinary what the vets did to help him at Cheltenham and the lads in the yard, they all deserve a huge amount of credit. "There was never a plan. All the time we were just going to see how he was all along, but there was no plan to do anything with him. "He looked very well and seemed in very good form, but even when he came back into training, it wasn't a certainty that he was going to even run again. "It was literally just step by step all the way and he kept ticking all the boxes. "All his work was good, he was in great form so we had no reason not to run him." O'Brien said: "We weren't thinking of winning a Grade One, we just wanted to get him back racing as he was a lightly-raced horse. "It would have been a shame to have him stood in a field for the rest of his life when he could have been doing what he loves to do. "It was a wonderful day, but it really is a credit to everyone who has worked with him along the way. 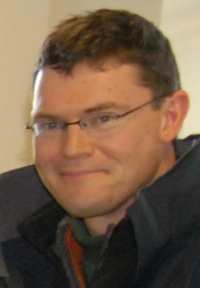 "Derek (O'Connor) gave him a wonderful ride. He believed in the horse and has a great association with him. 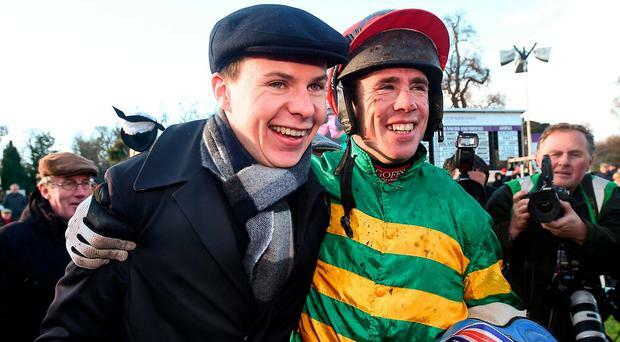 "I'll have to talk to JP and Frank (Berry, racing manager) and see what they say, but I'd love Derek to ride him if he goes to the Gold Cup, anyhow." 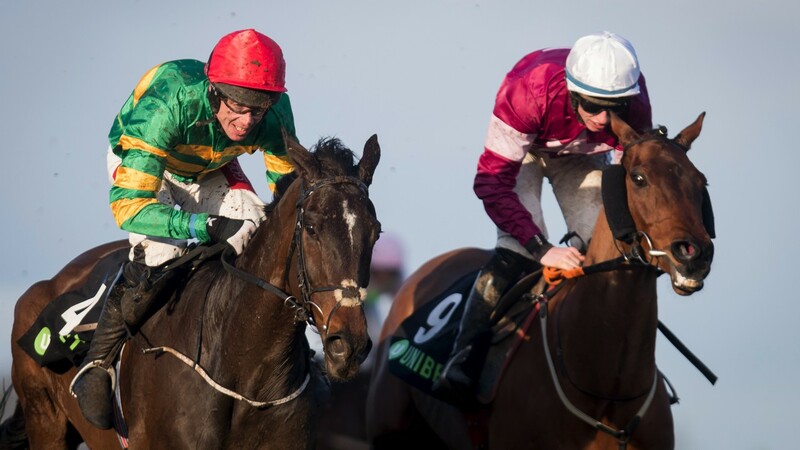 Big outsider Edwulf won a dramatic renewal of the Unibet Irish Gold Cup at Leopardstown under amateur rider Derek O'Connor for Joseph O'Brien. In what was a tremendous training performance -Edwulf nearly died at last season's Cheltenham Festival - O'Brien has somehow managed to coax him back to his best. There were plenty of thrills and spills during the race, with Killultagh Vic jumping the last in front only to sprawl on landing. Anibale Fly also took a crashing fall, while Our Duke seemed to be back-pedalling when he made a mistake at the second-last. Valseur Lido never threatened either. Thankfully, all horses returned unscathed. Djakadam was prominent throughout but gave best on the run to the last where Outlander took over. 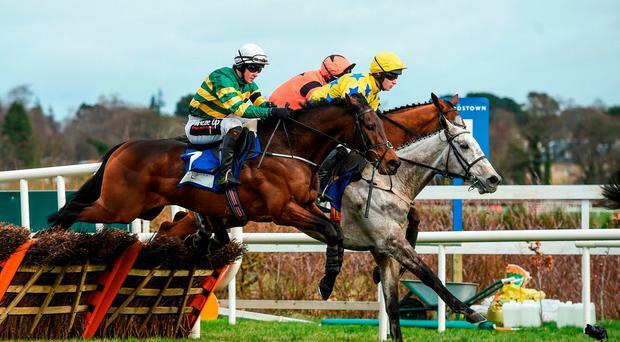 The Leopardstown specialist Outlander looked sure to add another Grade One but O'Connor had other ideas as 33-1 chance Edwulf got on top close home and won by a neck. Djakadam ended up finishing third, another 10 lengths away. JJ Slevin partnered his first Grade 1 winner as Tower Bridge stunned punters in the opening race of the Dublin Racing Festival when recording a 25/1 shock in the Nathaniel Lacy & Partners Solicitors Novice Hurdle. Fabulous Saga adopted his usual front-running role and had the field stretched going down the back straight for the final time. However the well-backed 7/4 favourite was reeled in after the penultimate flight, and a line of horses were in contention at the last. Tower Bridge challenge on the outer, and just got up in the final strides to pip Jetz by a head, with Carter McKay two and a half lengths back in third. Joseph O’Brien, “He was a good bumper horse and never jumped a hurdle in Down Royal one day and then jumped better the last day here. I think he only missed the first today. “To be honest we were hoping to just get some prize-money today and go back and win our maiden in a couple of weeks. It’s nice that he’s done that today, and he should be better on better ground. In the colours of rugby legend Ronan O'Gara, Downdraft pleased his many backers when coming home in front at odds of 10/11 in the Ready Mixed Concrete Maiden at Dundalk. The Camelot colt was making it third time lucky for the O'Brien brothers, Joseph and Donnacha, and the latter kept it simple from the front here. Though Cockalorum stuck with Downdraft well, he was never going to beat him, and a length and a quarter split them at the finish. "It was straight-forward and he's not a bad horse. I think he'll be better over further again," said the winning rider. "If he stays a mile-and-a-quarter he's probably not a bad horse at all. I think he'll step up in trip whatever he does and he'll probably see what kind of mark he gets. I'll leave that to Joseph but I think he's a nice horse."